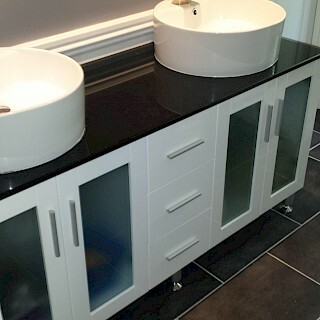 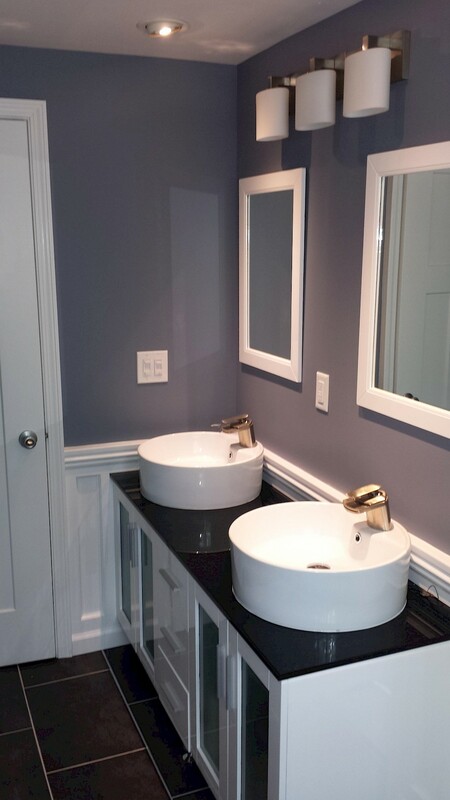 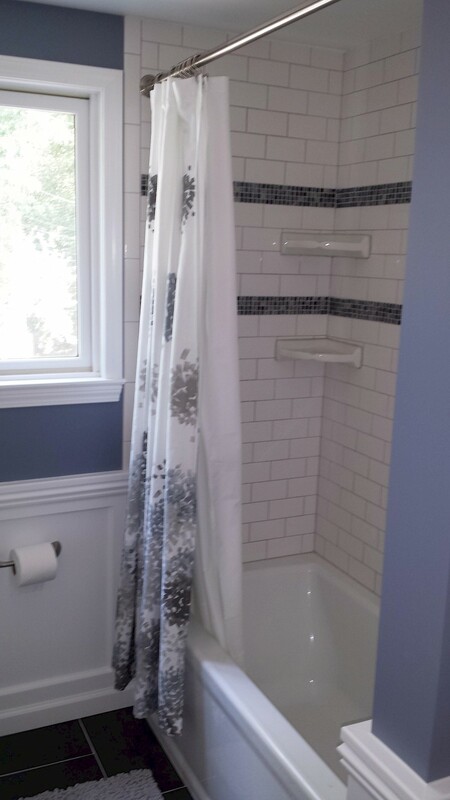 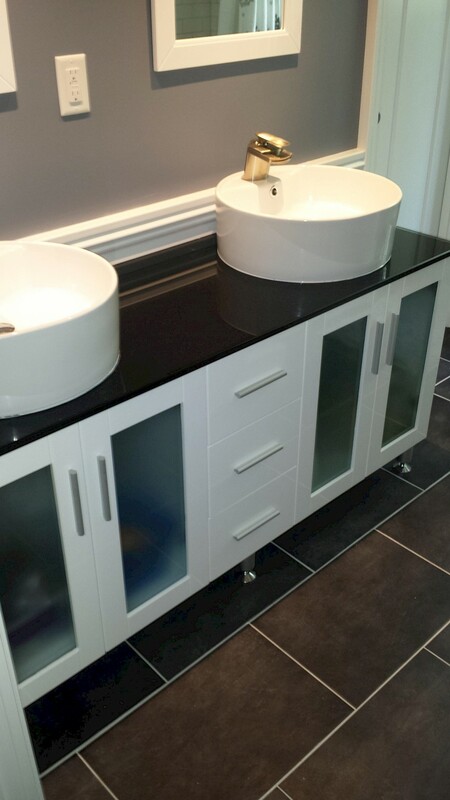 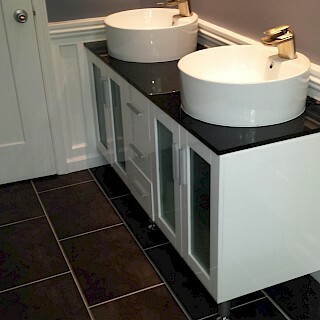 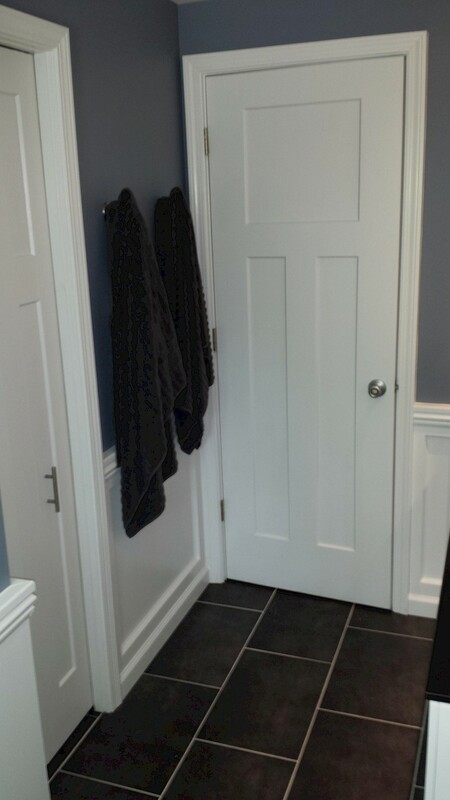 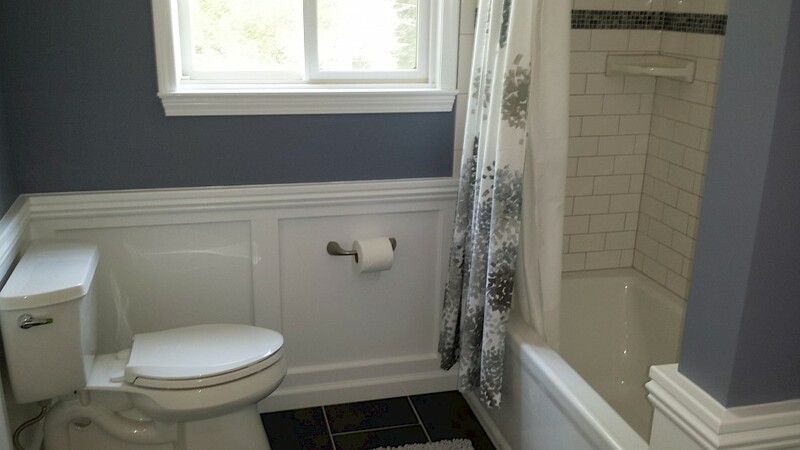 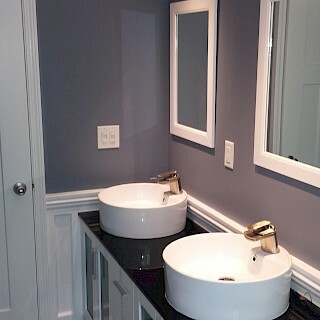 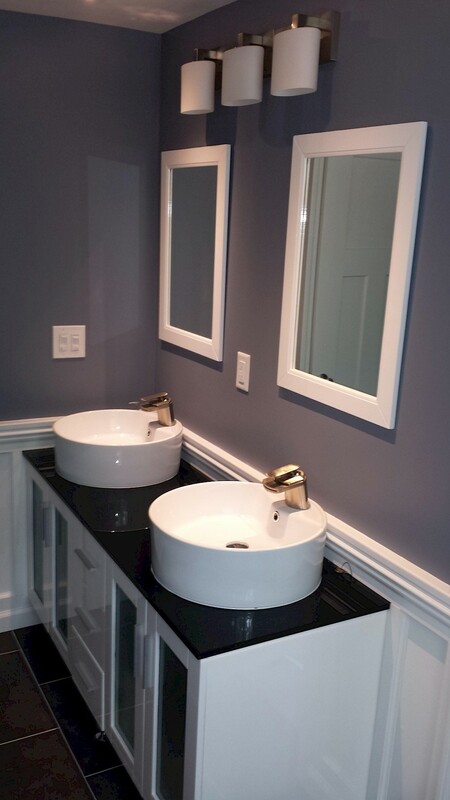 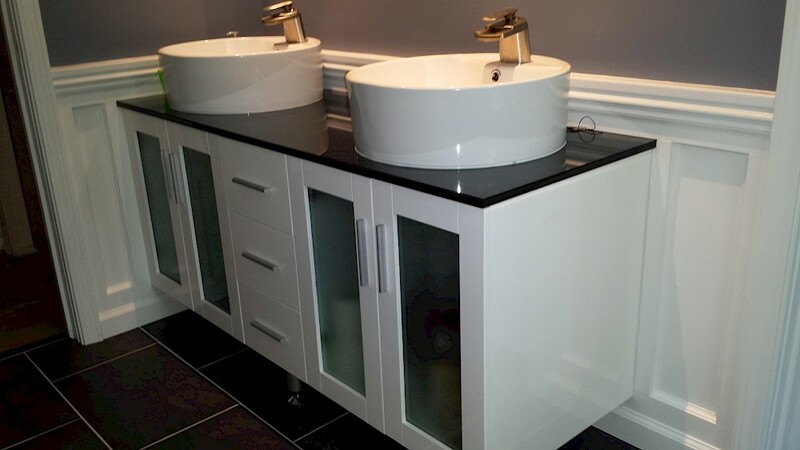 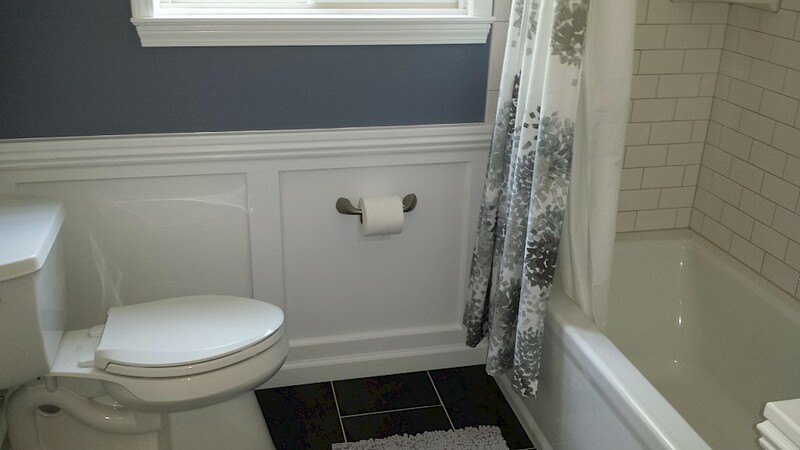 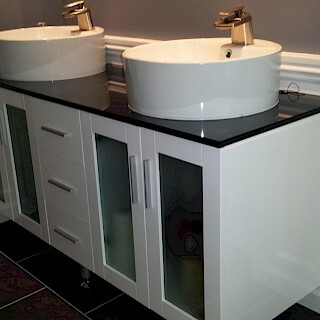 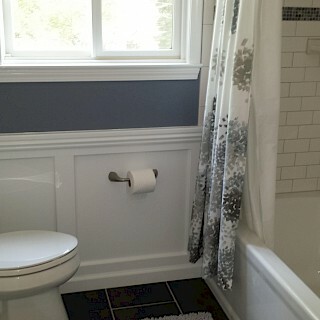 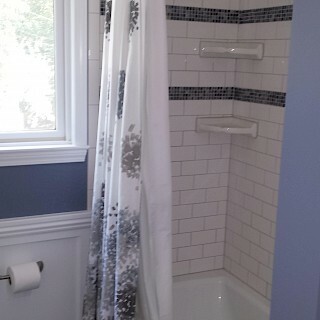 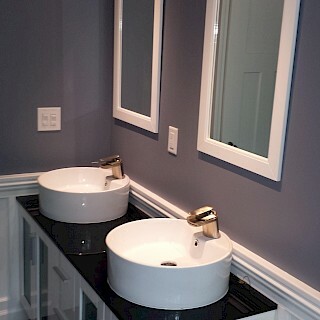 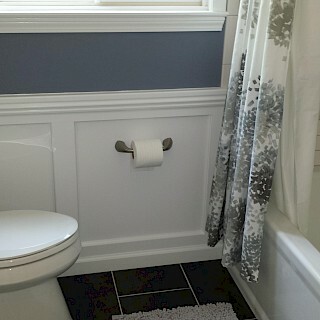 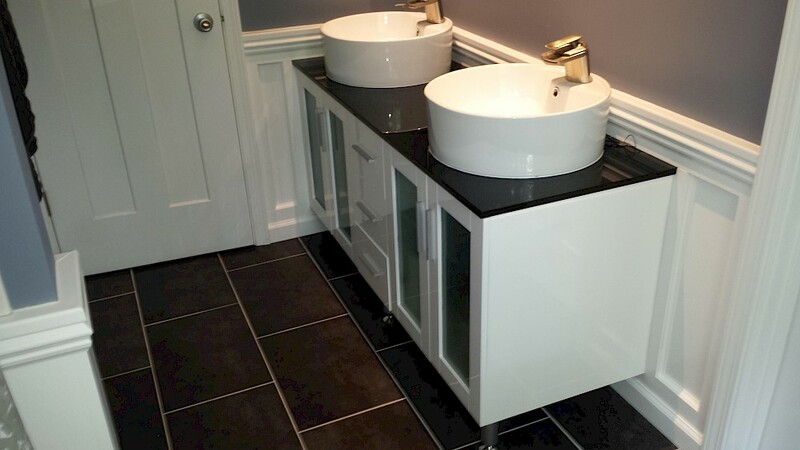 This longtime client of Exemplar Carpentry came to us looking for a high-quality finished bathroom. 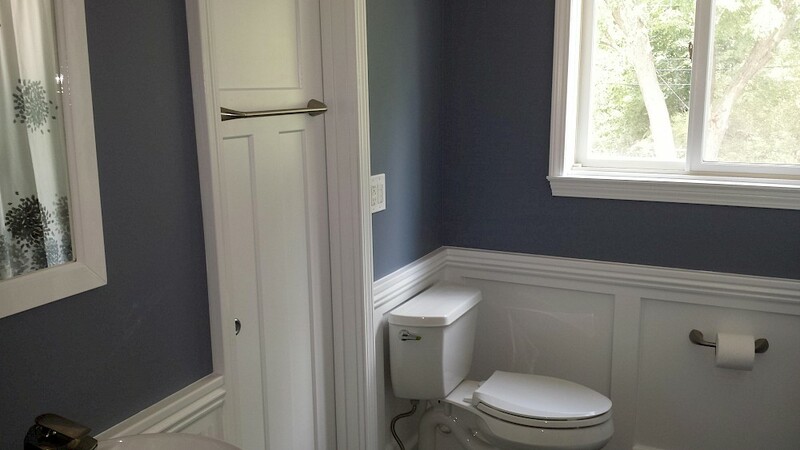 The entire space was gutted and the wall dividing the toilet and the vanity was removed. 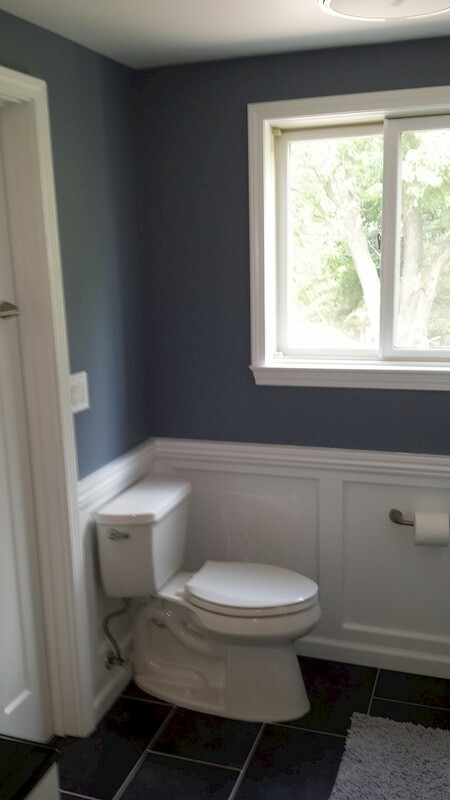 The framing, electrical, and plumbing were all updated according to code. 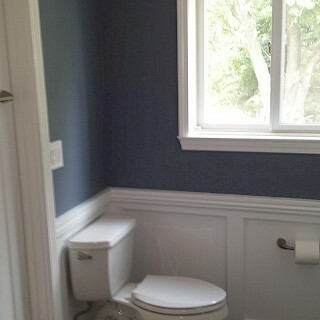 The drywall was installed and finished and the walls were primed and painted. 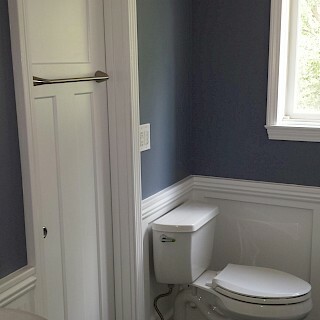 New doors, vanity cabinet, wainscotting, and trim were all installed. 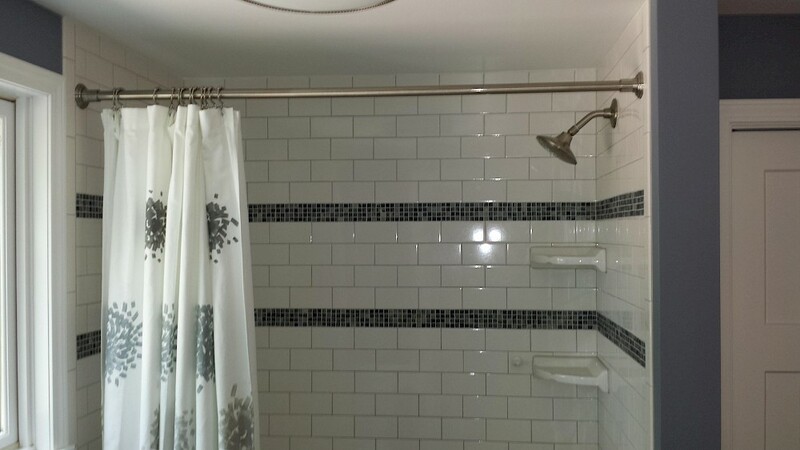 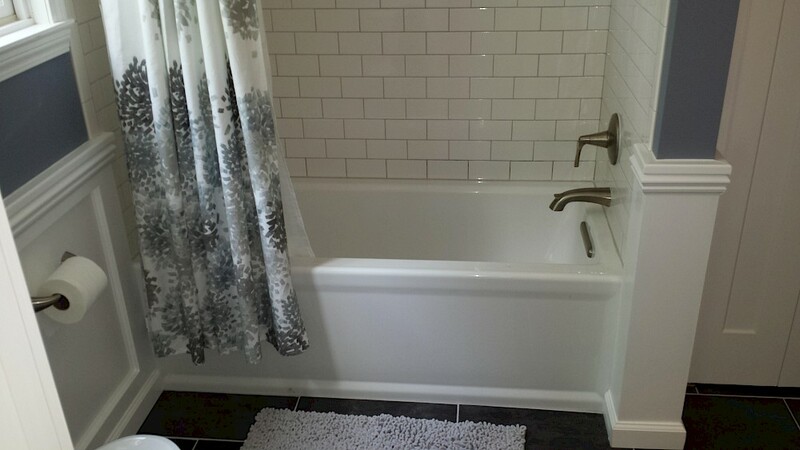 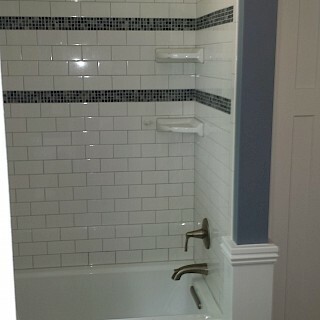 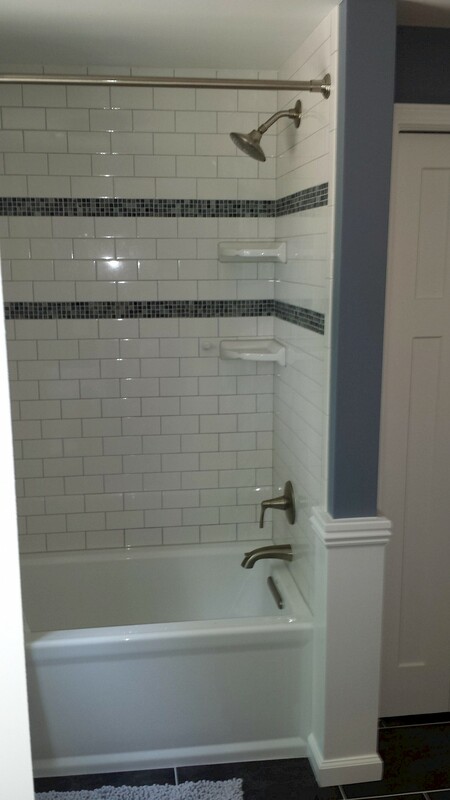 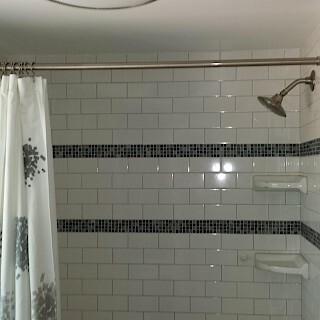 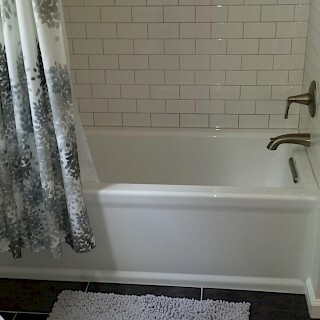 Subway tile was added to the shower walls and a brick pattern tile flooring was added.